When it comes to wine country, harvest is one of the most anticipated times of the year. With year-round preparation culminating between late August and early November, every step of the winemaking process is handled with meticulous attention to detail along with a fair amount of pomp and circumstance. It makes sense, then, that fall in wine country is also one of the most exciting times of the year for visitors, with wine lovers traveling far and wide to get a glimpse at how this prestigious juice goes from vine to bottle. 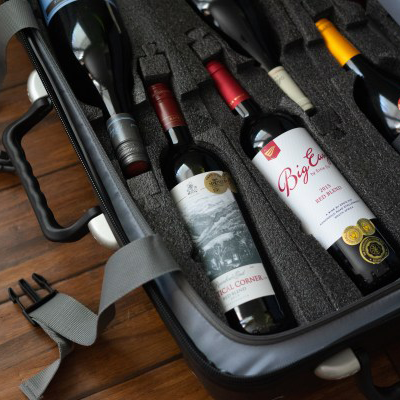 But before you sit down to start preparing for your next Napa Valley adventure, check out a few of our favorite tips for packing and planning. Dressing for wine country can be tricky. Certain times of the year, valley days are scorching while nights cool down significantly. On top of that, a walk through the vineyard might be in the direct sun, but a cellar tour means tasting in a 60°F barrel hall. To accommodate the swing in temperature, include plenty of layers in your suitcase. Think pieces that give you the opportunity to repurpose in a couple of outfits. Talk about looking great and saving space! A weekend of wine tasting sounds like a dream. But you know what isn’t? Next-day dehydration (or at least that’s one word for it). Consider traveling with an insulated, reusable water bottle so you always have some H2O on hand. Many tasting rooms will have cold water at the ready, but forego the disposable cups and fill up before you head to the next stop! Wine may be king, but the culinary world is queen. Napa, Sonoma, and many other wine growing regions are lined with award-winning, mouth-watering restaurants and eateries. But sometimes the prices can be a real buzzkill. When you plan your agenda, choose some food-friendly wineries so you can pack a fantastic meal and save some money for more wine. 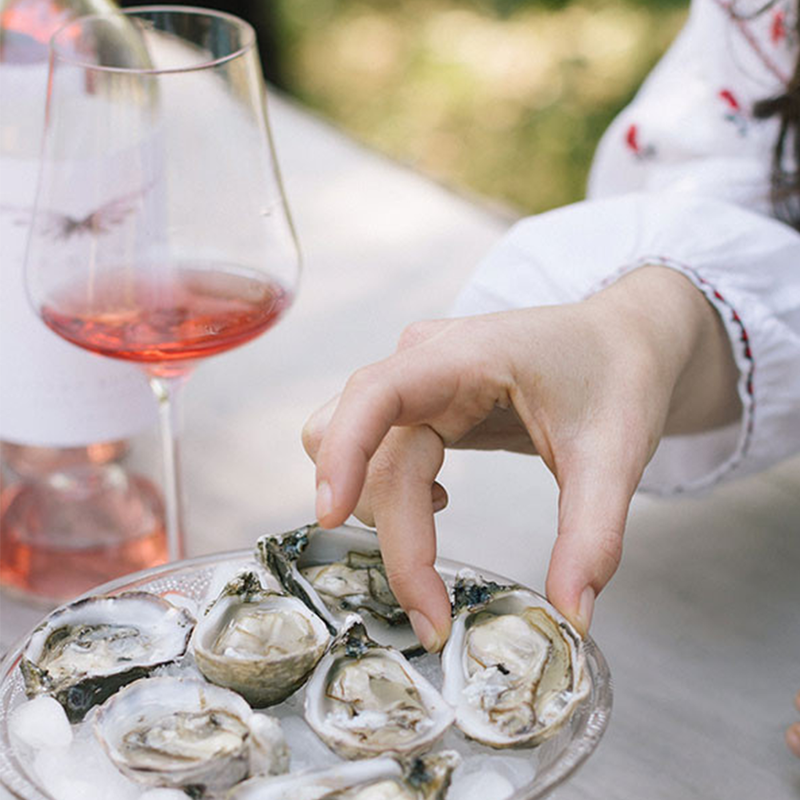 Check out this list of picnic-friendly wineries in Napa and Sonoma! It may feel as if you could walk into any tasting room at any time and settle in for a flight or a glass. While this might be true on an off day, it is always best to make a reservation for your party, and the sooner, the better. Don’t risk being turned away from your soon-to-be favorite winery! Better yet, try to plan a mid-week trip to avoid traffic and crowds altogether. After a trip to wine country, it would be remiss to return home only with the memories of your adventures. The ultimate wine country souvenir? The wine itself, of course! 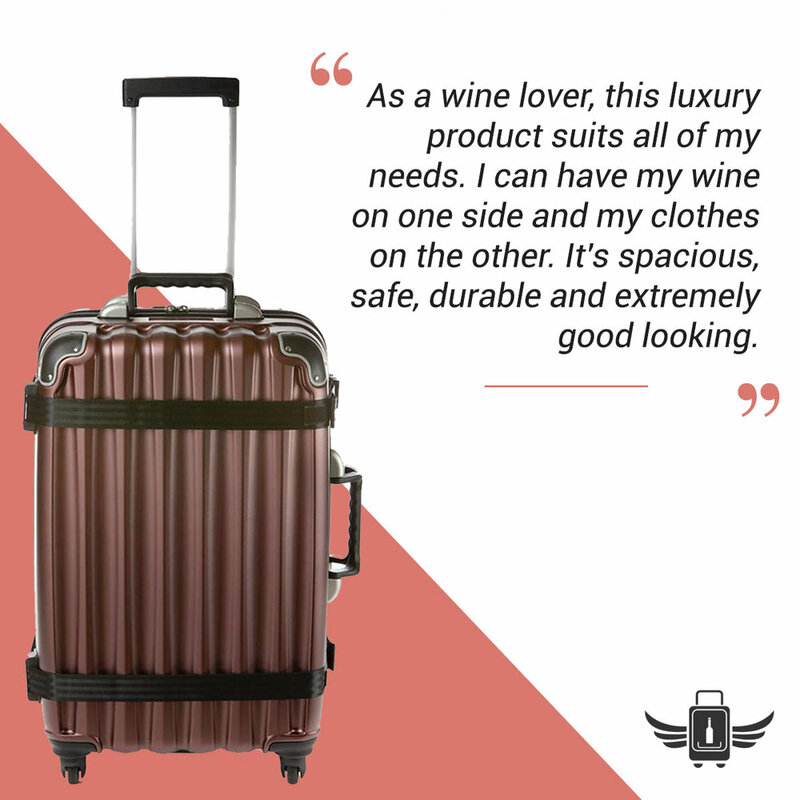 Head out with your VinGardeValise® wine travel suitcase and fill it up along your journey. Once packed, it’s ready to be checked onto your flight, set to arrive home safe and secure. 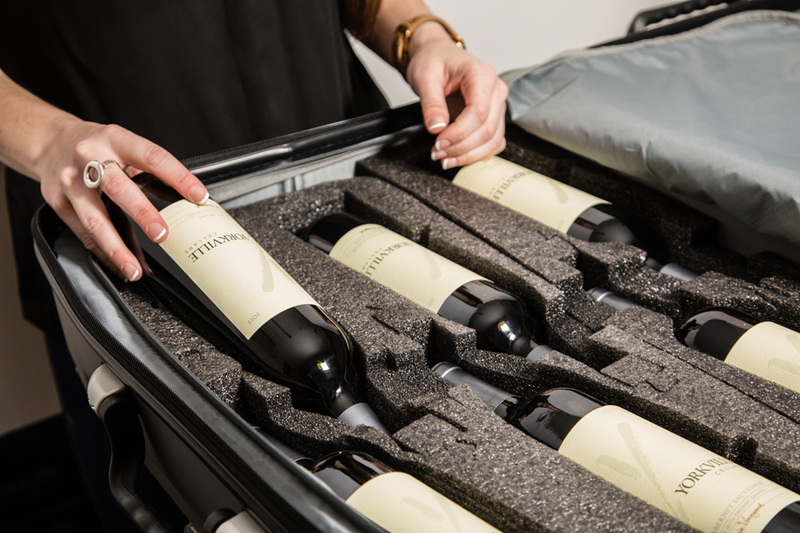 With the Grande model, you can pack up to 12 bottles of your favorite wine, or 8 with the Petite model. Only grabbed a couple bottles of your favorite wine? Use the extra space for clothes and other items you brought along with you to wine country. 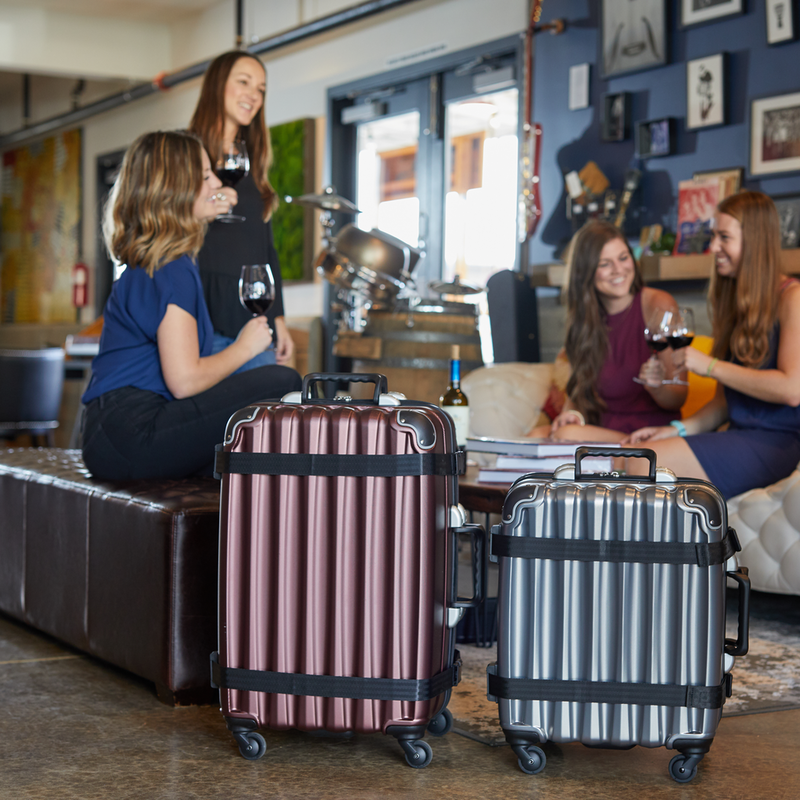 The only suitcase designed to protect your wine, this hard shell luggage brings the best of versatility, durability, and style for wine lovers, collectors, and travelers. See you in wine country - cheers!